Hop on over to Amazon or Walmart.com where you can score this LEGO Star Wars Carbon-Freezing Chamber Set for just $14 (regularly $24.99). This set includes a whopping 231 pieces and constructs a re-enactment of the scene and location from The Empire Strikes Back! Head over to Walmart.com where you can snag these Disney Frozen Toddler Girl’s Slippers for just $2.88 (regularly $9.97). Choose free in-store pick up if available near you; otherwise, score FREE 2-day shipping on any eligible $35+ order or pay $5.99 for shipping for orders under $35. In addition, you may want to head here to browse the entire collection of Toddler Girl’s and Boy’s Slippers as there are several other styles priced under $4! Hurry on over to Walmart.com where they have dropped the price on this Baby Toddler Cotton Tight Fit Pajamas, 4-piece sets for Girls or Boys down to only $4.50 (regularly $9.94). That’s just $2.25 per pair! Choose from 9 styles. *Please note that the girls’ sets are selling quickly, so act fast! Submit your email address and earn $10 Gift Card Bonus from EBATES! Note: This is with your first purchase of $25 or more. “Do you shop online? Start using Ebates and get cash back on all of your online purchases! In addition to the cash, Ebates offers members thousands of ways to save with exclusive coupons, promo codes and discounts at the click of a mouse. 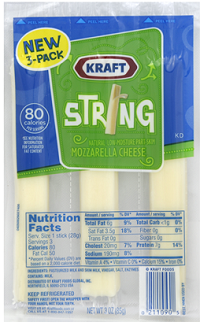 Many Walmart stores carry Kraft String Cheese Mozarella 3-pack for $1. There is a $1/1 Any Kraft String Cheese Printable Coupon, making these FREE after the coupon! 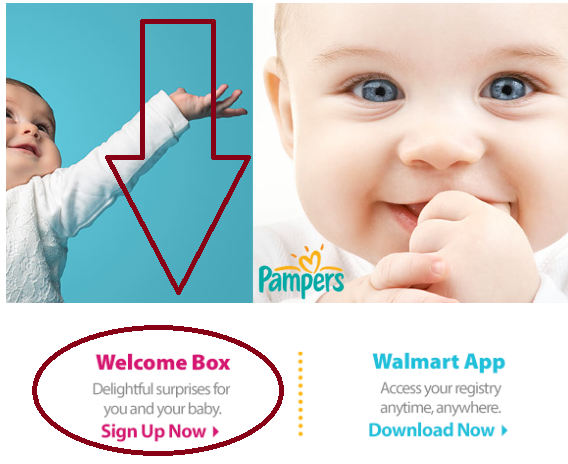 To get a FREE Walmart Baby Welcome Box click sign up now under the welcome box section and fill out the form. Boxes available while supplies last. Products will vary. 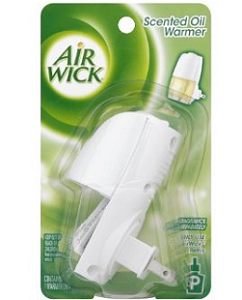 Please allow up to five weeks for delivery of your free sample to arrive in your mailbox. In the event that there is a delay in shipping your sample, we may notify you via email. Just in case anyone is having a hard time finding this offer, just scroll down their page little bit and you will see where to click. Here is an image example of where the offer is on their page. You can also still request the FREE Sam’s Club Baby Box Here!